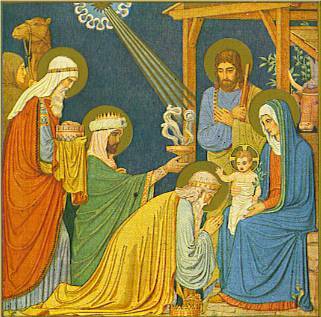 In Western churches, this day is specially marked out to remember the coming of the wise men to bring gifts to the Christ child. By doing so, they “reveal” Jesus to the world as Lord and King. Epiphany – and the time between Epiphany and Ash Wednesday, the beginning of Lent – is the time of the Christian year when we focus on the church’s mission to make God known to the world. That’s who we are as the church – we are people getting to know God and making God known to one another and to our community. The pattern for our making God known, of course, follows what Jesus did, who made God known most supremely. And what did he do in making God known? He did it exactly like we wouldn’t expect. He was conceived in a cloud of shame in the womb of an unwed mother, born in a barn, whisked away from the authorities when he was a baby. He was rejected by his close friends and family, he wrestled with the frustration of not knowing exactly what he was supposed to be doing as God’s chosen one. He kicked off his ministry with little fanfare, called as his disciples a bunch of rejects who didn’t like each other, and sought out those who were social outcasts. He showed the broken-hearted love of God to anyone and everyone, calling all to enter and inhabit the life-giving and gracious but elusive and mysterious Kingdom of God. That pattern of life sets the agenda for what we do and how we operate. No slick marketing campaign, just broken people receiving God’s love and redemption, inviting others to know the God of love and life along with us.